These are fascinating people whose stories are woven through history and the Bible. They show us God at work in unexpected ways and numerous cultures. They each reveal another little piece of His great plan. But how do they affect my life? 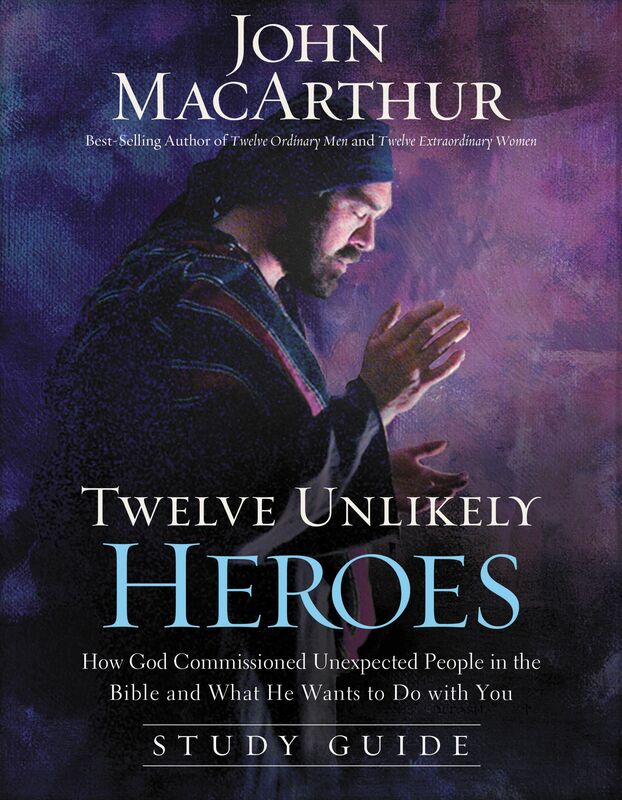 If John MacArthur's Twelve Unlikely Heroes presents intimate portraits of these individuals, this study guide is the bridge between those portraits and our daily lives. Commentary and poignant questions bring the points home with unflinching candor, urging us toward a deeper walk with the One who has written all our stories. John MacArthur, author of many bestsellers that have touched millions of lives, is a pastor at Grace Community Church, the president of Masters College and Seminary, and president of Grace to You. 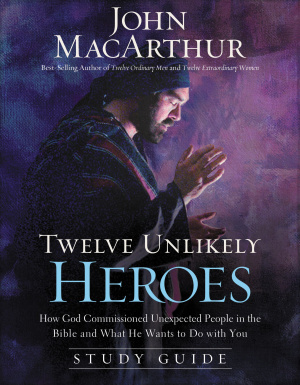 Twelve Unlikely Heroes Study Guide by John MacArthur was published by Thomas Nelson in September 2012 and is our 8985th best seller. The ISBN for Twelve Unlikely Heroes Study Guide is 9781400204106. Be the first to review Twelve Unlikely Heroes Study Guide! Got a question? No problem! Just click here to ask us about Twelve Unlikely Heroes Study Guide. Hi, can you please give a list of the 12 characters explored in this study guide?